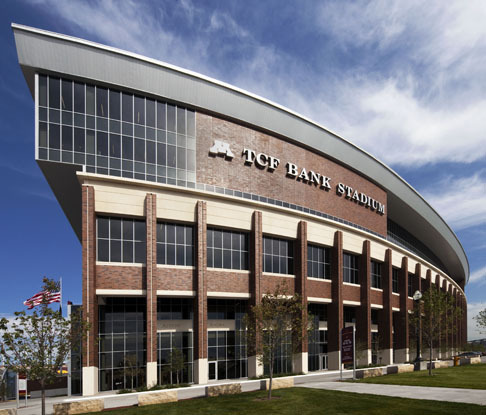 The University of Minnesota's TCF Bank Stadium is the home of Golden Gopher football. 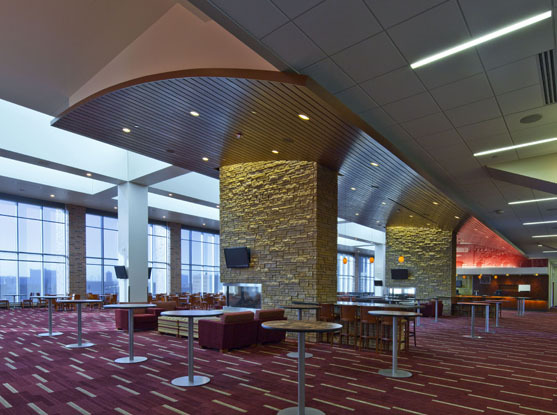 Designed by architects at Populous to provide views of downtown Minneapolis, this $288.5 million, horseshoe-shaped stadium is located just over a mile from the stadiums of both the Minnesota Vikings and the Minnesota Twins. 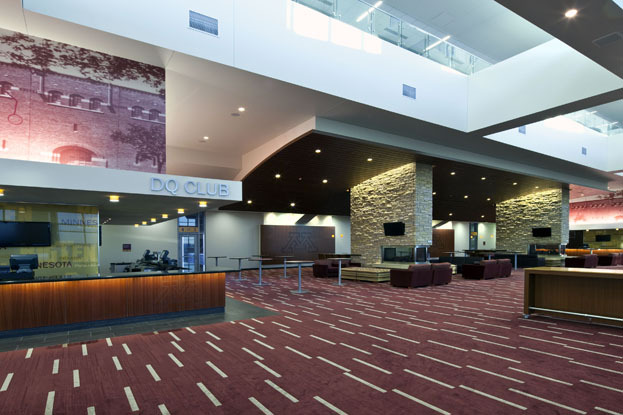 The stadium includes over 50,000 seats, the 3rd largest scoreboard in college football, and a 20,000-square-foot luxury DQ Club Room that offers premium seating, climate-control, and a private sports bar. 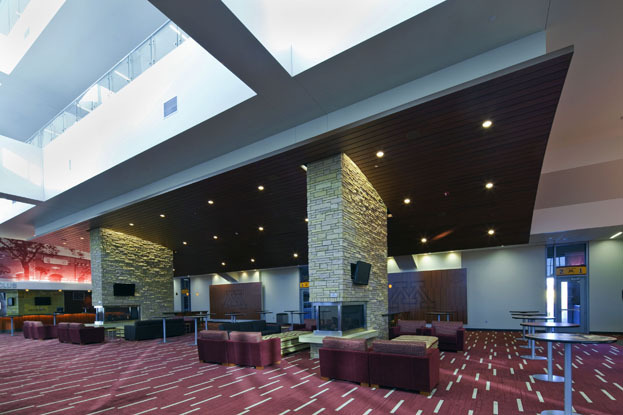 Perhaps most notably, however, the stadium is the first - college or professional - to earn LEED certification, achieving Silver LEED status. 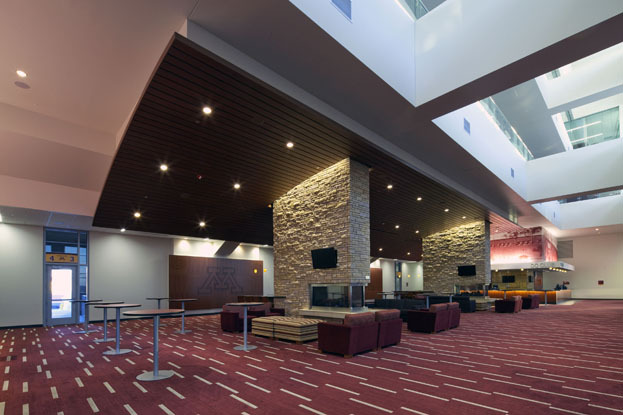 To enhance the facility's sustainability, architects specified Linear Box 8 metal ceilings by Hunter Douglas Contract in the DQ Club Room. 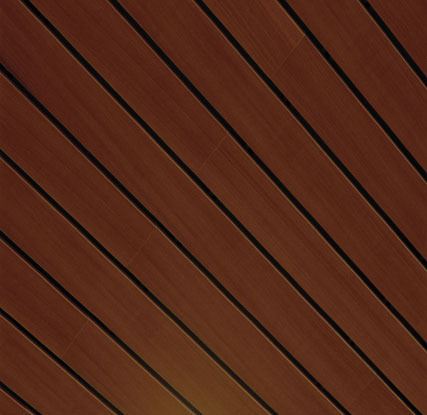 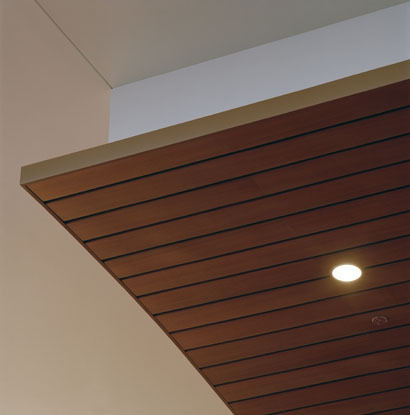 The ceilings were not only GREENGUARD Certified for Indoor Air Quality, but also contained over 70% recycled aluminum. 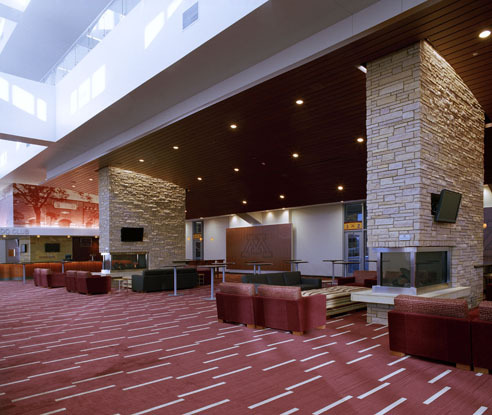 Their sleek finish was a strong aesthetic complement to the state-of-the-art room. 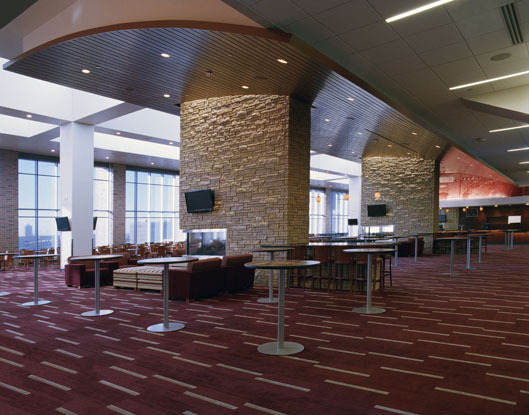 In addition to setting a new standard for sustainability, the Populous design gave the stadium an "unbelievably spectacular, attractive and inviting" look and feel, said University President Robert H. Bruininks. 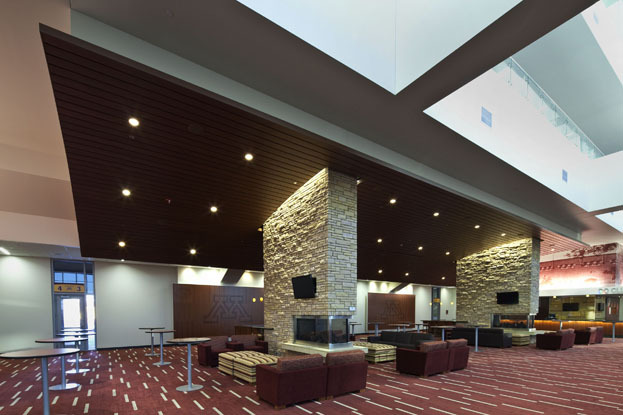 "This is the best designed collegiate stadium... in the United States."